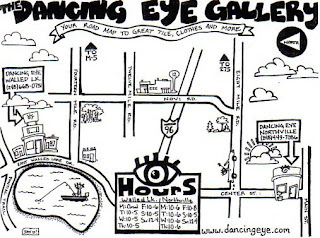 The Dancing Eye Gallery is a perfect place to find that something special for a wonderful person. 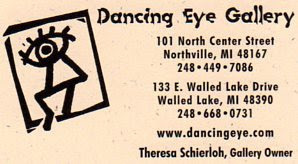 There are two locations to serve you, located in Northville and Walled Lake, Michigan. The bonus is that PinkIce Jewels Jewelry is also available. Map listed below for you driving convenience. "The etsyBEAD team members are getting busy making wiry designs and will list them in their shops at special discounts. To find them, just search in tags using "Ebtw" AND "get wired or Just Click Here. 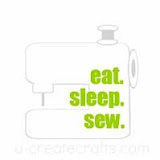 Don't forget the holidays are just around the corner and it is never to early to buy handmade...and why not? It's on SALE!!!! Let the posting begin!!! Feel free to comment, even if you aren't a member of the team.